Get Yours Today, Or Risk Missing Them! As a result of the successful first year of the program, Energy Efficiency Alberta has made some changes to their lighting rebate program. As such, Calgary Lighting is here to help you navigate the system, help with the application process, and get you your rebate money! 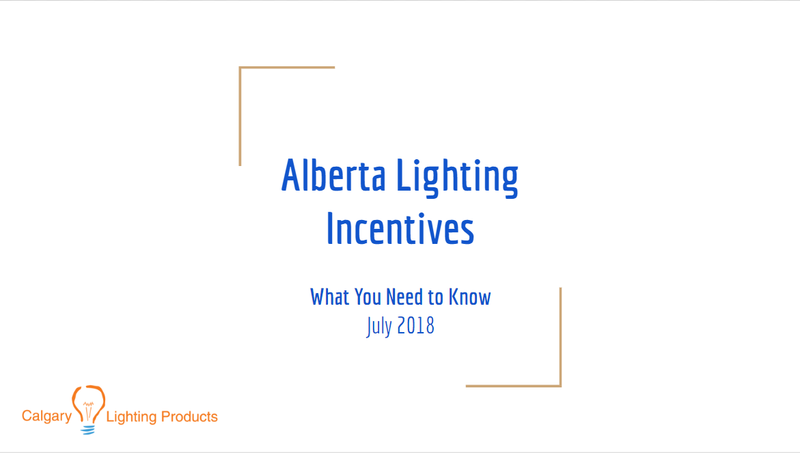 Click the ‘Download Now’ button to get our helpful guide on Alberta Lighting Incentives and find out more about how we can help you take advantage of this great program. Want to find out how much energy your building is consuming, how you can save money on your energy bill, and what government rebates you qualify for? Contact us today to schedule your FREE ENERGY AUDIT and we’ll take the guesswork out of how much you’ll benefit of different lighting solutions and rebates. Book now to start saving! Government Rebates Without Any of the Headaches. To ensure our clients get the maximum government incentives on their lighting and energy retrofits, we’ve created our own in-house team that works on government rebate program applications for our clients. This team is able to get all of our clients the maximum government incentive for virtually all of our projects across the country. We can do this because our dedicated team of energy efficiency specialists work with program administrators to ensure our customized incentive application procedure allows for the quickest turnaround and fosters incredible working relationships with utility companies and provincial energy efficiency stakeholders. Our incentives team has years of experience and has positioned itself as leaders, ensuring that the team is well apprised of all program updates across the country. Our team has nationwide experience from Alberta, British Columbia, Ontario, and all the way to Atlantic Canada. The major benefit of having the Calgary Lighting Products team behind your application is the time and effort, in some cases weeks worth of government application work, are all avoided. This ensures our clients get thousands of government dollars without any of the application headaches. Our incentives team prides itself on getting every project out on time while safeguarding the maximum incentive for all our clients across every province. With thousands and in some cases hundreds of thousands of government dollars at stake – you need the Calgary Lighting Products incentives and analytics team on your side.